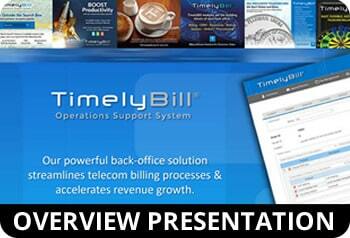 TimelyBill is a single integrated system for telecom billing and back office. With more than 50 components, our software supports full customer life cycle and features a seamless quote to order to cash process. Learn more about how we help today's telecos thrive. 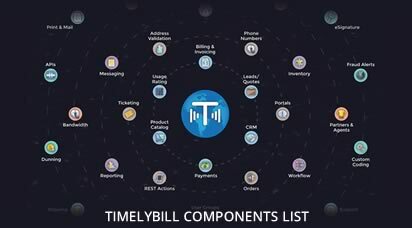 TimelyBill® telecom billing software was designed with these principles in mind: Flexibility, functionality, and scalability. Whether you are looking at VoIP, Triple Play, Quad Play or Internet of Things, TimelyBill was built to meet all of your back office needs. We offer a single stack OSS / BSS on a cost-effective, cloud model for both traditional telecoms as well as wireless and VoIP service providers. 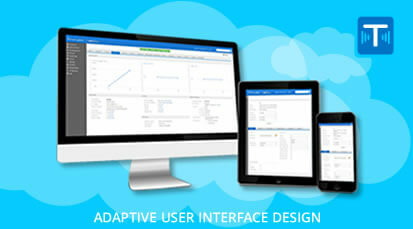 Bill Perfect develops, markets and integrates the award-winning TimelyBill Operations Support System. With our secure and scalable cloud-based billing platform, telcos can manage customer accounts, automate activations and rate service usage. Bill Perfect also offers invoice print and mail services, custom software development, implementation, data conversion services, web design, and hosting. As long-time professionals in telecom, we understand the need for dependable billing management. Our team is focused on developing the best, most innovative telecom billing software on the market. TimelyBill's cloud "billing as a service", is designed for telecommunications, VoIP, and wireless communications service providers.